There is nothing intrinsically holy about a “16 Weeks to Marathon” spreadsheet, GPS watches or the neon accents of running shoes. But, for a certain class of runners, there is no denying the spirituality of the long run. There are no pews, steeples or chapels in this church. It is a social movement complete with a hashtag. While it lacks specific ties to Christianity, “the Church of the Long Run,” as it is sometimes called, has become an important practice for Christians across denominations. 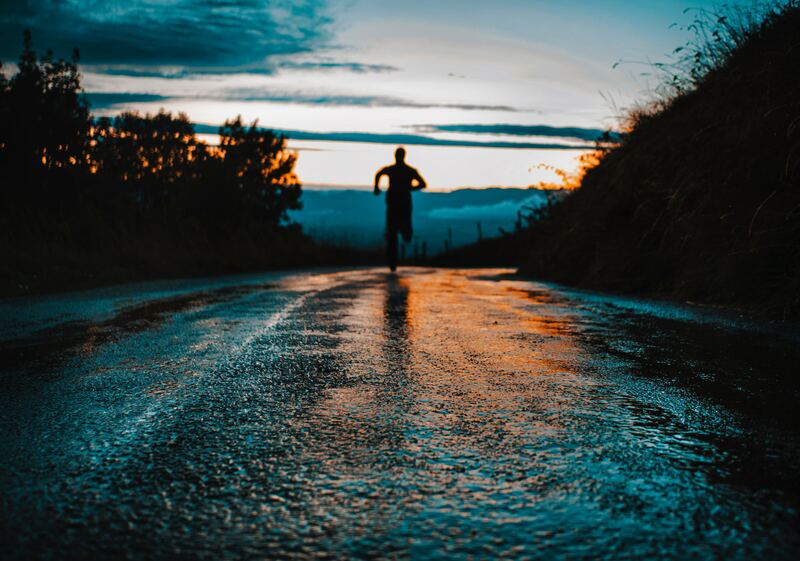 For a certain class of runners, there is no denying the spirituality of the long run. Long runs, often done on weekends, have long been a mainstay of training programs from 5Ks to ultramarathons. Athletes build endurance by going long as they work toward their race goal. Yet for many, it often doubles as a spiritual experience featuring many aspects of prayer—a chance to quiet the mind, test personal limits and suffer on behalf of a mission. “I often will be able to pray while I’m running because of that very peaceful experience of the very fluid moving of your body,” said Sister Stephanie Baliga of Chicago, a member of the Franciscans of the Eucharist. Sister Baliga raced for the University of Illinois and has since completed eight marathons. Running alone can create an inner stillness, a prayerful, reflective experience different from playing team sports. Running without music, and especially in nature, is an excellent way to connect with God, Sister Baliga said. Running alone can create an inner stillness, a prayerful, reflective experience different from playing team sports. In Dalton, Ga., Grove Level Baptist Church brought running and the Bible together. The church started a “Run For God” program, which paired 12 weeks of training for a local 5K with Bible study. Gaye Coker enlisted with her husband Shannon in 2010. The couple was struggling with their faith because of an ongoing family issue, she said. “The strength and endurance Shannon and I have gained through this Run for God journey is not only physical but a spiritual relationship,” Ms. Coker said. For Coker, God and prayer got her running. For Bernard Fischer, God and prayer keep him running. The 49-year-old Texas resident began running several years ago to stay fit after losing weight. His running habit offers a great chance to pray, he said, even if he often questions why God would care whether he runs. Finding that groove saved his life, he said. About five years ago, he began developing chronic symptoms of muscle fatigue that changes to his diet did not fix. His doctors could not find a diagnosis. “I was fed up with this pattern of not being able to live my life and be there for my wife and children,” Mr. Holdsworth said. Then, he tried running. Running helps build the mental and physical muscles to better withstand suffering when it is not voluntary. His first run was just over a mile but his symptoms subsided for the rest of the day. Now, several times a week, he pulls his long hair back and slips on his worn Reebok shoes for a run in a nearby park. The mortification of exercise serves as a good reminder, he said. Sister Baliga said her running routine bolsters her faith precisely because it is a form of voluntary suffering. A Christian life is marked by a willingness to suffer, she said, and running helps build the mental and physical muscles to better withstand suffering when it is not voluntary. There are even more benefits for Christians when they share this experience in a group, she said. The runners you see scurrying across park trails or city sidewalks are often training for an upcoming race. Of course, some are going for a personal best, but others are striving for more than a great performance. As St. Paul writes, they are running toward an eternal prize. Wyatt Massey is a human rights journalist in Haiti and a former O’Hare fellow at America.